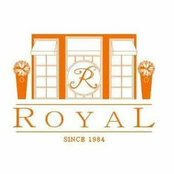 Born to create, inspired by passion, Royal Living was established to celebrate enchanting and luxurious interior design. Committed to present a full spectrum of ultra high end consultancy to deliver the most mesmerizing and exclusive breathing spaces. Bespoke for each prestigious client, designers in La Maison Royal Living remake and define living spaces with transnational inspirations. From the classic enchanting streets of Paris, to the timeless British luxury and subtle elegance of the Italian. With devotion and dedication, Royal Living will deliver a gift that combines precision functionality with an ideal style that generates joy and fête living. 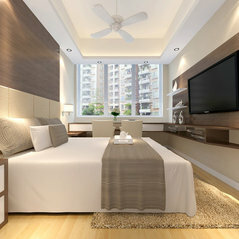 We understand a truly luxurious environment offers both style and function. 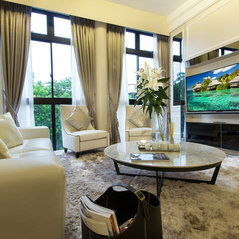 And we pride ourselves to create a space that performs perfectly for our clients' needs. A full consultation service to determine lifestyle, identity and investment objectives with every client, ensuring our design meet personal targets, tastes and ambition. Very professional design firm . Good collaboration with us on a good project . Look forward to working together more in future .